Remarks by President George A. Smith, delivered at the Semi-Annual Conference of the Church of Jesus Christ of Latter-Day Saints, in the New Tabernacle, Salt Lake City, Sunday Afternoon, October 11, 1874. 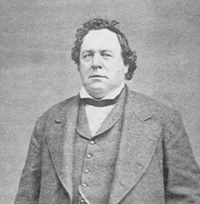 Discourse by President George A. Smith, delivered at the Semi-Annual Conference, in the New Tabernacle, Salt Lake City, Sunday Morning, October 11, 1874. Remarks by President George A. Smith, delivered at the Semi-Annual Conference of the Church of Jesus Christ of Latter-Day Saints, in the New Tabernacle, Salt Lake City, Tuesday Morning, October 6, 1874. Discourse by President George A. Smith, delivered in the New Tabernacle, Salt Lake City, Sunday Afternoon, May 24, 1874. Discourse by President George A. Smith, delivered at the Adjourned General Conference, held in the New Tabernacle, Salt Lake City, Sunday Afternoon, May 10, 1874. Discourse by President George A. Smith, delivered at the Adjourned General Conference, held in the New Tabernacle, Salt Lake City, Sunday Afternoon, May 9, 1874. Discourse by President George A. Smith, delivered at the Adjourned General Conference, held in the New Tabernacle, Salt Lake City, May 7, 1874. Discourse by President George A. Smith, delivered in the New Tabernacle, Salt Lake City, at the Semi-Annual Conference, October 7, 1873. Remarks by President George A. Smith, delivered in the New Tabernacle, Salt Lake City, at the Semi-Annual Conference, October 6, 1873.